Learn more about what it takes to apply and submit your veterans disability benefits claim. 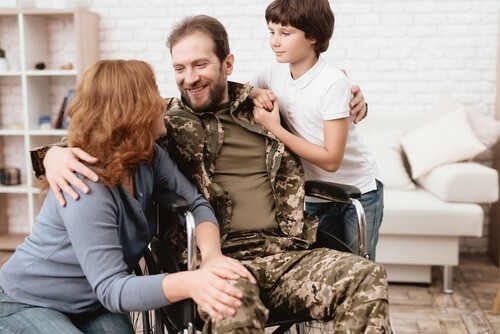 Applying and submitting your veterans disability benefits claim can be a complicated process, but don’t despair. If you take the time to understand the procedure, you’ll become familiar with it in no time. Keep reading to learn more about how to apply and submit your claim. It is possible to apply for veterans disability benefits via regular US Postal mail. In this case, the best thing to do is to find the form on the official VA website, print it out, fill it in, and address it to your local VA office. You can also apply with a phone call. The service can be reached at 800-827-1000, but you should check out the VA website for further information concerning operating hours and availability, which might be subjected to change over time. The quickest and most flexible option is to apply online. You can visit eBenefits.va.gov in order to learn more about this process, which is relatively straight forward and accessible. Applying online is actually the best, and the quickest way to apply for eBenefits. You can seamlessly download and complete a VA Form 28-1900, and resubmit it at your own leisure. Before you begin your application, it is very important to find all the documents that you will need. Such documents include your DD-214, service records, medical records, as well as buddy statements. Once you made sure that you have everything you need, you can use one of the aforementioned methods to file your application via telephone, online or traditional mail. The eBenefits.va.gov website can provide some information and advice for people looking to make a claim. It’s important to act promptly when you decide to make a claim so that you can make sure you have all the right documents at hand. When you file a disability claim, you need to make sure your form is filled out completely and in full, and accompanied with all the necessary documents that you will need in order to finalize the process. If you need further assistance with your application process, you can also request assistance from The Disability Champions who specializes in assisting people in the process of applying for disability and submit claims. In conclusion, applying for a veterans disability benefits claim does not need to be a complex process. Things can go smoothly the first time, but you need to be sure you’re gathering the right evidence documents to back your particular case. This is particularly remarkable in your circumstance, and it’s really vital to ensure that everything the VA office requests is in your file at the time of your submission. Failure to deliver the right materials might result in problems with your application process, such as significant delays or rejections. If you are not sure how to get started, The Disability Champions can guide you seamlessly through the process. Contact us to discuss your case with our seasoned professionals today. 407-601-3681.